Back pain is one of the most common symptoms that bring people into the chiropractor. From back injuries to spinal conditions, many people regularly seek chiropractic care to treat their symptoms but recently, children have been visiting the chiropractor much more often than the parents are. 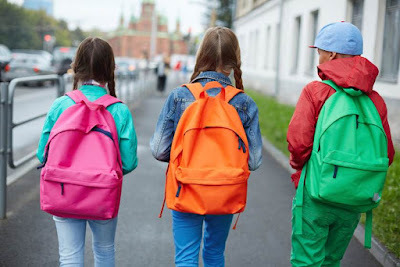 One of the major factors children develop back problems can relate to the oversized, heavy backpacks which hang over a single shoulder. While it’s recommended to decrease the size of the backpack, it’s often unrealistic to accomplish this solution as it would require kids to decrease the amount of supplies they need to be carrying around with them at a time. However, using back packs with adjustable straps over both shoulders can decrease the stress caused on the back of a child. Also, as commonly seen among office workers who sit by a desk for extended periods of time, children can begin experiencing symptoms of back pain from sitting long hours on a desk. The majority of school desks have hard, resin chairs with no padding which can also be a leading factor for back pain and its other associated symptoms. Varied physical activity can help keep kids healthy and free of back pain. Stretching the muscles and exercising regularly strengthens the muscles of a growing child which in turn can help prevent spinal misalignments as well as damage from an injury. Chiropractic treatment can be an effective treatment option for many children who are experiencing symptoms of back pain. If your child is struggling with back pain, it’s important to seek a diagnosis for any possible spine misalignments or other underlying condition that could be causing the symptoms. Chiropractic care can help relieve many other symptoms of back pain and heal a variety of injuries or conditions.